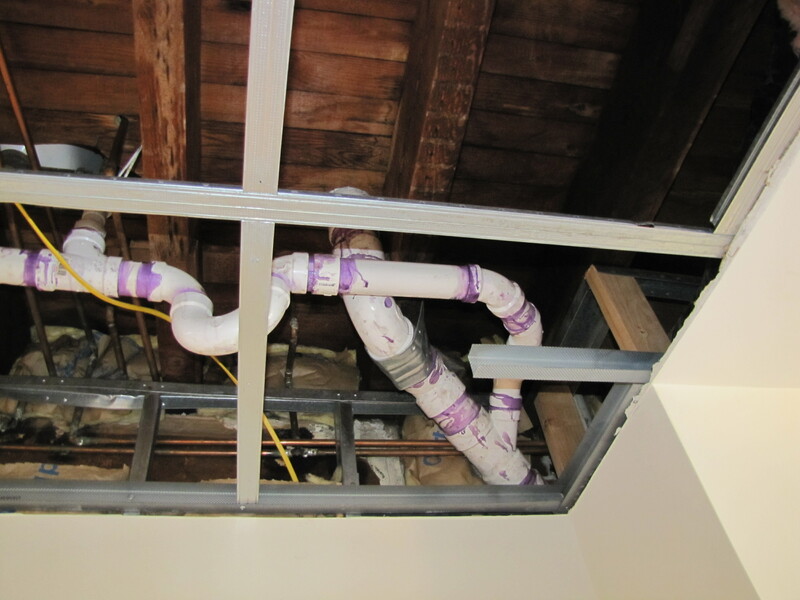 This photo shows a plumbing job done to a home which failed at the connection points and caused several thousand dollars of damage to the ceiling, walls and floors. You can see multiple couplings used instead of cutting the PVC at the right length, or because the contractor used whatever scrap pieces they had left, and even a piece of metal framing flattened out to act as a support instead of using the proper tie strap required. Whenever hiring any contractor, be sure to search for multiple sources of referrals and reviews to avoid this type of work. And remember, you do get what you pay for in the end.